Things I Love Thursday – Local Vegan Toronto Gift Ideas 2013 Edition – vegan in your city. For 2014 – please go here. There are lots of general vegan gift idea lists out there, so please do check them out (I’ll link to some of them at the bottom of this post), but it’s worth looking locally to tap into the great community of creators and crafters, bakers, makers, and ingenuous entrepreneurs that we have in our city. There are also some wonderful organizations to support this time of year, as well as food and products to buy, made right here in the GTA. I welcome your suggestions for other local vegan friendly businesses and organizations to support, please add them in the comments. 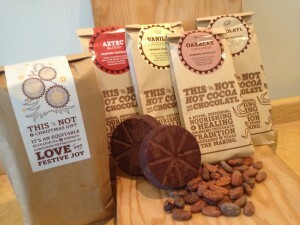 This year our local pedal powered artisan chocolatier is doing a 13 Days of Solstice posting on their website. Everyday between December 9th to December 21, they will unveil a new holiday gift pack, and once it’s been displayed, you can buy it, as well as all the previous holiday packs they’ve shown off. Gift packs can be picked up at their kitchen location (1131 St. Clair West) or they can also send packages to regular farmers’ markets (for market packages, please email them with a few days notice to info@chocosoltraders.com). Last year they were selling really cute chalkboard mugs and cookies closer to the end of December, and if they happen to be selling those chalkboard mugs, just know that they’re great and we still have (and love) ours from last year! After attending one of their previous supper clubs, I can only imagine this one will be tonnes of fun too. I’d be buying tickets for JC and I, but we’ll be out of town that day. 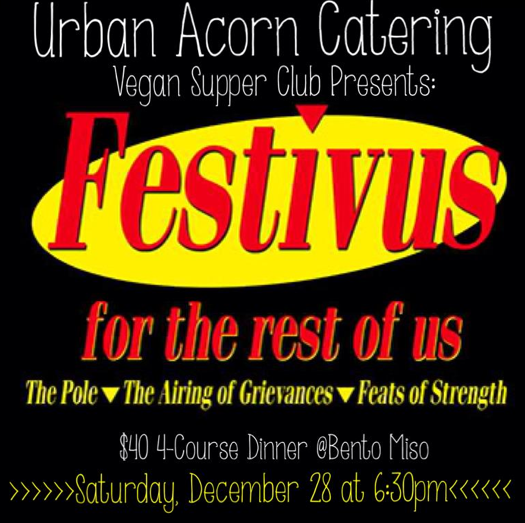 Find out more about the menu and buy tickets here on Bento Miso’s site. 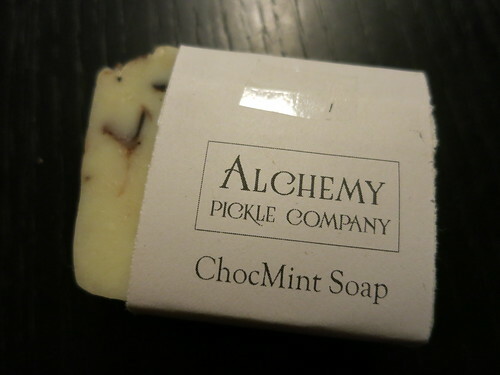 There is also Rebekka Hutton of the Alchemy Pickle Co. with fermented veggies, sodas, kombucha, & plant based soaps. 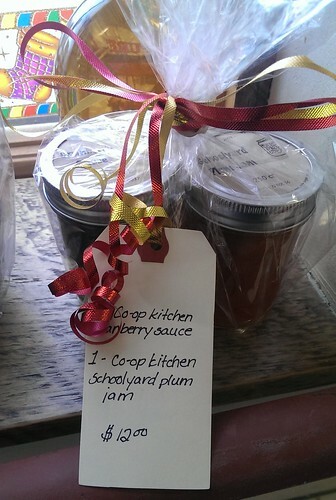 Her stuff is also available around town at farmers markets, holiday markets, and at the West End Food Coop. One thing that might tickle your fancy (or someone elses) is to give someone the gift of pickles! Contact her to find out more about the next “Pickle Share” which starts up again on Jan 6th. By participating in the Pickle Share you or your giftee get access to smaller batch pickles not available to the public, and a regular supply of favourites. This model supports a small business by giving us the funds ahead to purchase supplies and produce to make your pickles, and gives you insider access to the pickle kitchen! They also have gift certificates. I have a love-love relationship with the West End Food Coop so when I went in and saw they had some nice gift baskets made up I had to take a closer look. 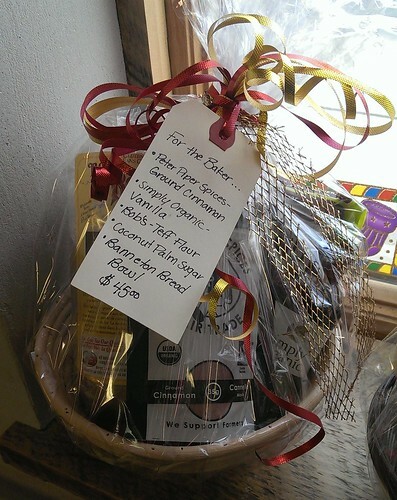 Not all of the prepared gift baskets are vegan, but many of them are, so take a closer look and find something awesome – or get inspired and make your own, while supporting a food co-op that does some great work in the Parkdale community. You can also give someone a WEFC membership. $5 dollars gets them a card. Paired with a few wooden market bucks for use at WEFC & the Sorauren Farmers Market, it’s a great little gift/stocking stuffer. I know, I know. This is where the bias comes in. I really like chocolate. So when I saw cute snowmen and mint chocolate bars from Live On Chocolate at Live Market in Liberty Village recently I thought… well darn, that’s a really good stocking stuffer (if that’s your kind of thing). Live On Chocolate is another Toronto Chocolatier on the Food Empowerment Project’s ethical Chocolate List, and you can find it at locations around the city, check listings here. While they aren’t doing any holiday baskets this year, they do have some holiday themed items on the menu and available. They’re taking orders for gluten free vegan treats like apple crumble pie, pear cranberry crisp, cinnamon buns, cookies, cupcakes, stuffing, and more! 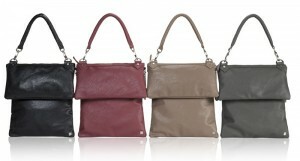 Check out the delicious list here on facebook. I think it’s pretty obvious that I’m a big fan of this place and it’s not entirely that they’re the closest vegan bakery to my house, they’re also just really good. 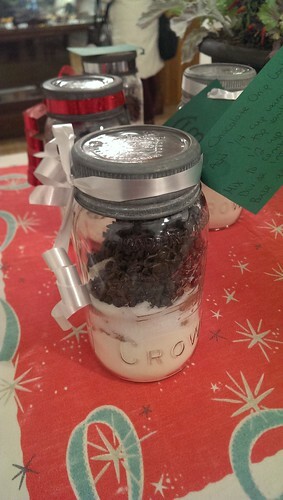 If you walk into Through Being Cool you’ll see adorable vintage style jars of cookie mix that are perfect for gifting to a friend (or yourself.) And also various jams and jellies and condiments along the wall that would look mighty adorable in a basket with a bow. Like Bunner’s, TBC also has a delicious selection of vegan holiday foods you can order in advance for celebrations or parties or dinners for yourself you might be having at home. 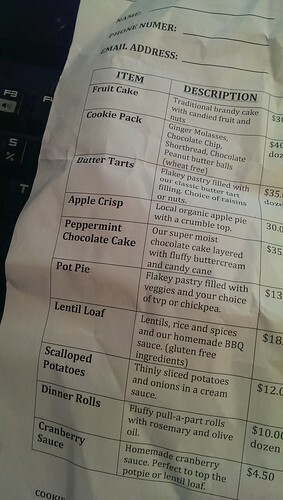 This is just a photograph of my crumpled up order form. 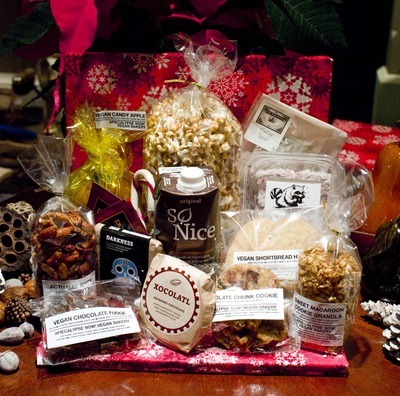 Pick up a nice form at Through Being Cool Bakery on Bloor & Lansdowne and order your own holiday treats! Sure, you can order online from various retailers online like VeganEssentials, VeganCuts, VShoen, MooShoes, or NiceShoes, and many others, but we’re lucky that there are a quite a few non-food vegan creators that count Toronto as their home base too. 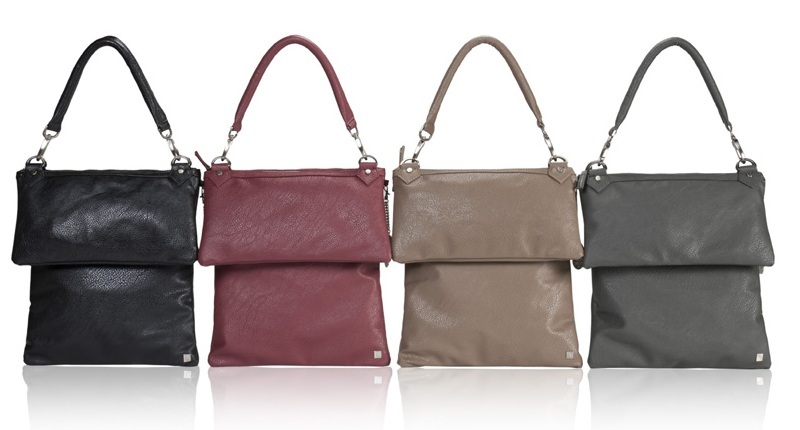 Nella Bella is a vegan handbag and accessories company that uses solely vegan fabrics to create a wide variety of beautiful products. Available at various retailers in Toronto and beyond including EcoExistence (766 St. Clair Avenue W, Toronto) where you can find a variety of other interesting eco-friendly (but not always vegan) products. Truth Belts makes leather-look belts, without the death. They also have suspenders for youngsters, dog accessories, and bracelets. The belt in the picture above is the same belt I won from a draw at the Vegetarian Food Festival back in 2010, and it lasted me for a very long time. 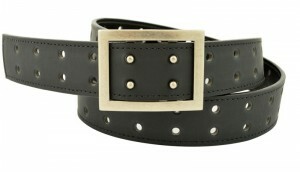 The belt I have my eye on this year is the Gemini, a reversible belt with a brown leather-look side, and a brown side. 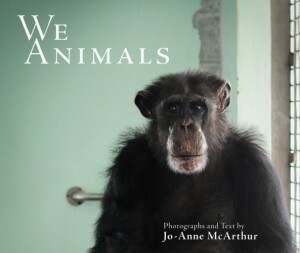 Photo Prints from We Animals/Jo-Anne McArthur or you can pre-order We Animals the beautiful new book by Jo-Anne McArthur. We backed the Indiegogo fundraising campaign for the book and I’m really looking forward to picking up a copy from her soon. Give the gift of discounts at a bunch of vegan and vegan-friendly restaurants in the city with the TVA Holiday Gift Pack. What is it? $50 gets you or a friend a TVA membership, Toronto Veg Card, cookbook of your choice, gluten-free Sweets from the Earth treat, and a TVA button. Organic & Vegan Gift Sets are available from locally made body care product creator Cocoon Apothecary. Everything I’ve picked up or sampled from from Cocoon Apothecary always smells heavenly, but my favourites have been lavender and rose scented things. There are several different pre-made gift packs available from them right now, and everything is 100% plant-based. You can order online directly from the Cocoon Apothecary site, get some of their stuff from Well.ca, or from The Big Carrot on Danforth in Toronto. I’ve sung the praises of the indie coffee passports recently, on a very long blog post, but it bears repeating – the Indie Coffee Passport is a great Toronto loving gift. 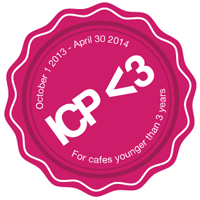 Help your pal discover the city through fancy independent coffee shops. Buy two for maximum fun. 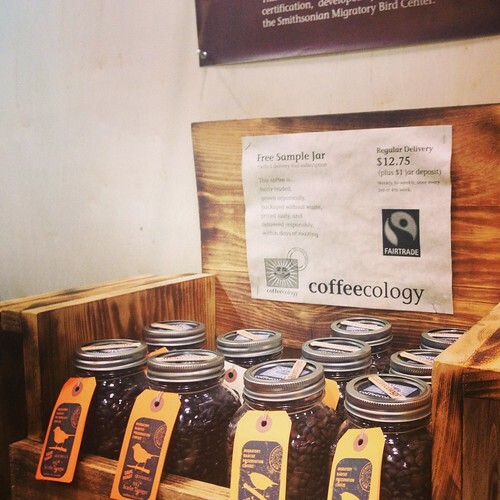 Give your friend the gift of home bike delivered coffee from Coffeecology I first saw these folks at the Green Living Show earlier this year and ordered a few of deliveries of their espresso roast before we moved to our new place. Have you ever considered giving the gift of groceries or dinner? It’s not a bad idea anytime of the year especially for busy families, or students. Mama Earth Organics – Organic grocery delivery service. Front Door Organics – Organic grocery delivery service. There are more grocery delivery options in the city, but these are just the ones I’ve had positive experiences with. 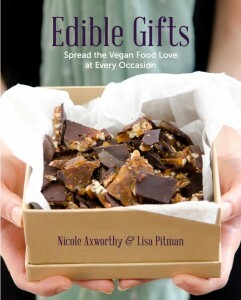 Find it here: Edible Gifts: Spread the Vegan Food Love at Every Occasion. This year part of their profits are going to the Toronto Vegetarian Association. This weekend is full of “Holiday” themed events around the city. 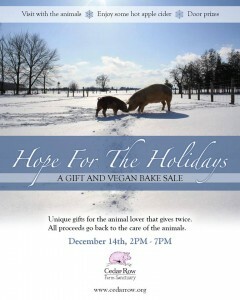 While not exactly in Ontario, one opportunity to pick up gifts and baked goods is at Cedar Row Farm Sanctuary’s Hope for the Holidays event on December 14th, between 2pm – 7pm. It has also been extended to include December 15 from 1pm to 4pm. Last year, one of the gifts that really touched me was when JC sponsored some of the animals at Cedar Row in honor of my birthday, so it’s always nice to go back and visit. Such a happy place. There are a few small press events that might appeal to you, they’re not exclusively vegan, but there are lots of creative crafters making things locally. Check out the wonderful list the Toronto Indie Arts Market has put together. While the tangible type stuff is fun and occasionally so useful or delicious, donations to animal rescues, farm sanctuaries, human helping organizations, and other groups that are meaningful to you or your friends & family make exceptionally thoughtful gifts. As I mentioned above with Cedar Row Farm Sanctuary, I was especially touched by the gifts people gave on my behalf to local organizations that I cared about, and I’m sure I’m not the only one that feels that way. So remember… if you’re looking for the perfect gift, it might just be to that charity your pal has mentioned or shared facebook posts from. Story Book Farms Primate Sanctuary – A primate sanctuary in Sunderland, Ontario. Teja’s Animal Sanctuary – an animal rescue with over 60 animals that wouldn’t be alive if not for Teja’s. Red Door Shelter – an organization that assists families, refugees, and women fleeing violence. There are so many more you can support – just take a look around out there for things that mean something to you! Donate vegan food to the food bank, it doesn’t have to be fancy, but every food bank in the city could use your support. 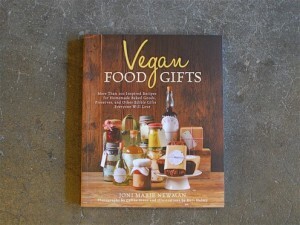 Vegan Gift Guide – Anywhere, Anytime. Vegan Cuts has a whole bunch of suggestions for things you can buy from them. This post on JL Goes Vegan from last year is still totally relevant. I hope this guide gives you some ideas or introduces you to something new. Please feel free to share your own suggestions for vegan-friendly companies and organizations in Toronto in the comments. Apiecalypse now, Bunners Bake Shop, chocosol, Cocoon Apothecary, Coffeecology, Gifts, indie coffee passport, Nella Bella, Through Being Cool, toronto vegan gifts, Toronto Vegetarian Association, Truth Belts, vegan gift ideas, We Animals, west end food coop. Bookmark. WOW, I love this very thorough list, well done! I just bought myself Edible Gifts. Cocoon Apothecary is made in Kitchener and I’ve been a fan of their products for a few years, they are all gold. Wish I lived closer to try all the TO goodness!